A veteran is giving out second chances. Marquace Mills is an expert in the kitchen. When he was behind bars, though, he had no idea how to grill the perfect sandwich. Mills learned how to cook at Redemption Kitchen. 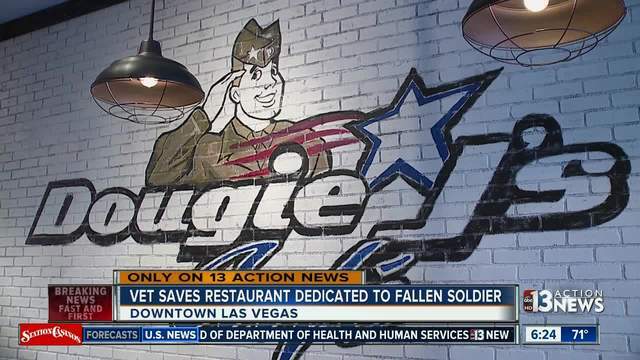 It's part of Dougie J's Cafe, a place dedicated to a fallen soldier and run by a veteran. So far, a handful of former inmates have come there to learn how to cook and survive in the restaurant business. "I could get a cooking job easily and with a lot of confidence and I won't be scared to attack the grill," said Mills. Mills has come out smiling after several grueling months. 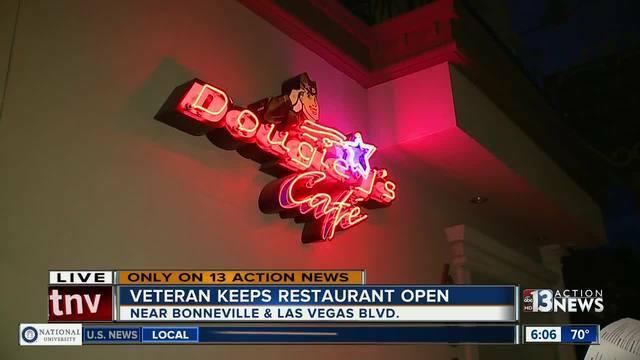 "It's tough love, but it's just really about being responsible and making sure you take accountability for your actions so I guess I'm kind of tough," said Ralph Salazar, the restaurant's owner. Redemption Kitchen is a real, working kitchen with actual customers coming in every day. It doesn't slow down for anyone. At times the lessons can be hard, but Mills refuses to let that make him bitter. Instead, his future is looking pretty sweet.A veteran is giving out second chances. Redemption Kitchen is a real, working kitchen with actual customers coming in every day. It doesn't slow down for anyone. At times the lessons can be hard, but Mills refuses to let that make him bitter. Instead, his future is looking pretty sweet.